Leading Manufacturer of hydraulic draw benches, manual draw benches, fully automatic draw benches and semi automatic draw benches from Dewas. 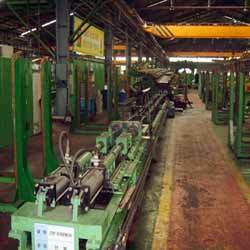 Manufactured by us is a quality range of Hydraulic Draw Benches, which is fabricated using best quality raw material. Availability of these machines in different specifications make them suitable for various industrial applications. In addition to that, we make sure to deliver these products to the customers within the stipulated time frame via our wide distribution network. We are a leading manufacturer and supplier of Manual Draw Benches These manual band saw machines are widely utilized to mark round, cylindrical and flat parts. Designed to be in types such as pneumatic, hydraulic and rotary, manual band saw machine comes in bench style and floor standing models. Anti tie-down dual hand controls ensure effectively high operator safety in manual band saw machine. We bring forth for our clients a wide range of Fully Automatic Draw Benches at highly competitive price range. 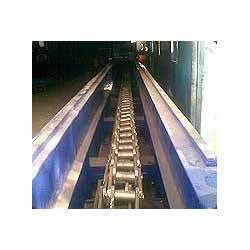 Fabricated using high grade raw material, these machines have longer functional life. Moreover, the frame of these have channels as well as chains that are placed upper and lower side. Available with us is an exclusive range of Semi Automatic Draw Benches for the clients. The range of our products is available in various specifications to meet the varied industrial applications. Moreover, we offer the products that are thoroughly checked by a team of diligent quality auditors on various quality parameters.